The Followers is a compassionate and suspenseful story of the dissolution of a family. Judith has been visiting her mother, Stephanie, in prison once a month for the last eight years. She still can't bring herself to talk with her mother about what brought them here--or about Nathaniel, the man whose religious cult almost cost them their lives. Nathaniel is a charismatic outsider, unlike anyone she's ever known. In deciding to join the small religious cult he has founded, Stephanie thinks she is doing the best thing for her daughter: a new home, a new purpose. Judith and Stephanie are initiated into a secret society whose "followers" must obey the will of a zealous prophet. As Stephanie immerses herself in her new life, Judith slowly realizes the moral implications of the strict lifestyle Nathaniel preaches. Tensions deepen, faith and doubt collide, and a horrifying act of violence changes everything. In the shattering aftermath, it seems that no one is safe. love, hope, and identity that asks timely questions: Are we still responsible for our actions if we remake ourselves in someone else's image? And can there be a way back? Rebecca Wait is the author of The View on the Way Down. She studied English at Oxford University, where she specialized in Old English Poetry. She lives and teaches in London. "A profoundly unsettling, brilliantly executed, and deeply humane depiction of a slow slide toward an unspeakable act, and the difficulty and necessity of finding a way to live in the aftermath. The Followers is a remarkable novel." "Wait's propulsive plotting and the complicity she creates through the power of her writing form a great surging shout of a novel." "With skillful judgment, Wait shows us that not everyone can be trained or scared into submission. The tenderness and the transformative nature of the ending are truly moving." 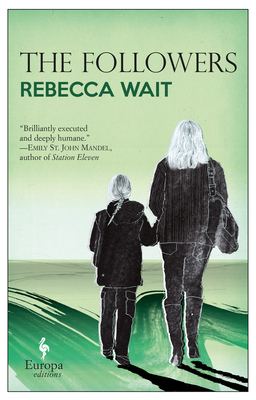 "Rebecca Wait describes the world of The Followers with such vividness that I dreamt about her cold, misty moorland, and with such tenderness that the ending brought tears to my eyes."